When the subject of planning a family reunion comes up among family members many find it hard to agree on the location or activities. Does this dilemma often delay the planning process? Don't be dismayed. When the well runs dry of good ideas for your next family reunion here are a few suggestions that will get your planning off and running straight to the finish line. Some event planning applications feature theme based planning. Each theme comes with a pre-written itinerary, dinner program and activities we well as logos and even t-shirt and invitations designs. Now that your theme is established you can better consider activities that would be appropriate for this special occasion. Typical activities may include a visit to the old homestead, luncheon program on the premises, family history recital, story time, presentation of family quilt or other heirloom, honoring of family elders. Some of these activities may be incorporated in a dinner program. If your throwing an outdoor event consider having a sing-a-thon, outdoor games or a bubble master bubble show. Having established the theme and an outline of activities, choosing an ideal location should be much easier. The locations considered should allow for the enjoyment of most if not all activities listed. Once the location is selected it is time to start putting together an itinerary of event. Create a simple list of activities and include the day and time each activity is scheduled. As said earlier, reunion planning software applications make theme selection and associated activities a whole lot easier. When looking for such as app choose one that provides a theme selector. Theme selectors guide you through the initial planning process by providing theme related activities, pre-written itinerary and luncheon/dinner programs. Other important features would include a timeline planner and attendee roster. Even better, select reunion planning apps that include a supplies and services list with a budget calculation feature. Event planning web apps like Fimark's Family Reunion Planner Social web app feature all the above suggestions along with detailed planning, organizing and management tips as well as printable templates, tools and guides. 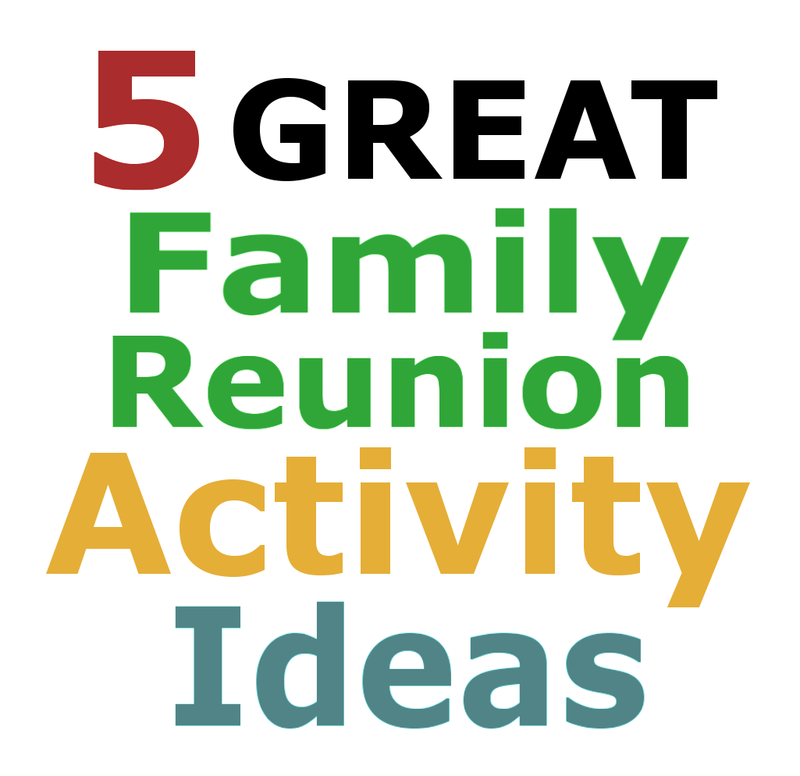 So if you're struggling to come up with some fresh and creative ideas for your next reunion, start by selecting a family reunion theme and associated activities. That said, a reliable theme based reunion event planning application may be all that's needed to jump start your next fun filled family reunion event. Click the Fimark's Family Reunion Planner Social web app link found below this article.or visit https://www.facebook.com/familyreunionapps.